Do you face the same challenges I do? I am a remote worker. In fact, all of us at Time Doctor are remote workers. In this article, I’ll share with you 10 challenges that I had to overcome in order to succeed as a remote employee at Time Doctor. 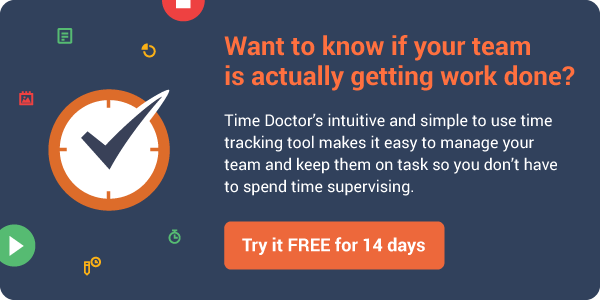 See how Time Doctor’s easy-to-use time tracking software can help your team be more productive. These are three questions I found myself asking myself quite often when I first joined the company. Most of the projects that I work on require a team of people to complete. Whether it’s launching a blog post, building a webinar, or giving my input on a blog redesign, no one person can do it alone. In a typical company with an office and centralized workforce, members of the team are sitting next to you. In a virtual company, it’s not that easy. For instance, one of the first tasks I completed for Time Doctor was to write a blog post. After I finished the post, I didn’t know who was going to edit it and upload it to WordPress. Was I supposed to do that? Or is there someone on the team who will do that for me? Turns out the guy who does this lives on the other side of the world. Literally. When you first join your new company, insist on attending as many virtual meetings as possible. While this sounds counter-intuitive to other productivity advice, attending meetings is the easiest way to get to meet your colleagues and develop an understanding of what everyone’s job is and where they fit in the organization. You can put your microphone on mute the first few times and just listen and take notes. When your nearest colleague lives 800 miles away, the office Christmas party can be quite lonely. There are times when I wish I could have a beer with my colleagues after work. Or play on a company basketball team. Or grab a cup of coffee before work. But working in a virtual company permits that from happening. If you think about it, the average employee spends 40 hours a week with his co-workers. In some instances, that is more than the time he spends with his family. Their social lives are built around the relationships they make at work. As a remote employee, working alone in my home office, I don’t have the luxury of creating a social life around my work friends. To combat this, I take a proactive approach to keep my social calendar as full as possible, work from a local cafe or spend my work day at a co-working space. I routinely meet up with local friends for dinner and drinks after work. I participate in a beer kickball league that plays once a week. And I get together with friends to play poker once a month. At Time Doctor, the culture is built around analytics. Nothing is taken for granted. We are constantly testing. Everything from headlines, to subject lines, to calls to action, to outreach scripts, and even what we say in sales calls is subject to the same scrutiny of testing. Conceptually, I understood what that means. However, it wasn’t until I worked with the Time Doctor team for a few months before I was completely immersed in the culture. Within an office building, a new employee can watch his or her coworkers to see how things are done. They can learn the backstory of the company and why things came to be through casual conversation. However, in a remote company, these serendipitous conversations and observations can’t take place. As an analytics guy myself, I have completely embraced this culture. The truth of the matter is, if I didn’t embrace this culture, there is no way I would have been employed this long. As a remote employee, it can be easy to see your work as simply a paycheck – something to do in order to pay the bills. This can work in the short term. But in order to maintain long term success within the company, you need to truly embrace the culture. Note: If you do not like the culture of the company for whatever reason, you should not stay. You will be doing both yourself and your employer an injustice. In a typical, centralized company, knowledge spreads like a virus. One person tells a friend, who then tells another friend, who then tells another, and so on. When you’re out with your colleagues for drinks after work, you hear about the challenges facing the engineering team with a new customer. And when you go to lunch, you will hear about the new strategy for driving traffic to the website at a low cost. Or if you have a problem, and you want to see how someone else has solved it, all you have to do is get out of your chair and ask someone. But what happens if the person you need to talk to lives on the other side of the globe and won’t wake up for another six hours? As a remote worker, you have to learn to be resourceful, independent, and patient. One of the problems that you’re going to face is that knowledge is stored in emails, chats, and private conversations. Most remote organizations use a project management software such as Basecamp. One thing that might help you find solutions to problems you have is to ask for access to all of the projects – not just those that pertain to you. Speaking of project management software, I’d be remiss if I didn’t include the challenge of completing projects. Yes, you’re probably going to use Basecamp, some other project management tool or even different remote working tools to help you organize and complete your tasks. But as I mentioned, most of your tasks are going to require a team. I know all of mine do. What might be your top priority, might be someone else’s fifth priority. Also take into account that your team may be spread across multiple cities, countries, and time zones. Submitting your work on a Tuesday afternoon may mean that your team member won’t get it until Wednesday morning. In working with Time Doctor, I’ve learned that I need to submit my work a full 48 hours prior to the deadline. This will give everyone, no matter what time zone they’re in, the opportunity to view the work and take action in time to complete their end of the project. On any given day, the laundry needs to be done, the car needs to have it’s oil changed, a package is getting delivered, or the dishwasher is getting fixed. If you have a family, this doesn’t count phone calls from your wife, your kids busting into the office when they get home from school, or playing chauffeur. Distractions happen. And unfortunately, they can be hard to prevent. Make sure that your family and friends know that during the hours of 9 AM to 5 PM, you’re at work. This means you’re unavailable to help people move, or to take phone calls just to chat, or to run errands. If they wouldn’t contact you if you were in a more traditional office, then they shouldn’t contact you now. I made an office out of a spare bedroom. A space that is just for me to get work done. When I’m in the office, I am able to focus on getting work done. I don’t worry about the leaves on the ground, the laundry in the washer, or anything else that needs to happen around the house. I am most productive in the morning, between the hours 8 AM and 11 AM. And then again from 3 PM to 5 PM. That’s not to say I don’t work from 11 – 3, but this is the time that I use to schedule deliveries, or run errands if I need to. During the week, I schedule my life around work as much as possible… not the other way around. At the end of the day, a typical office worker checks out at 6PM, drives home to his or her family and spends the evening doing some leisure activity. I do know that many knowledge workers take their work home from time to time, but there is still a clear delineation between being “at work” and being “at home”. Being a remote employee, my office and my home are one in the same place. And to be perfectly honest, I have an extremely hard time turning off work. When I’m watching TV, I’m thinking about a new potential blog post. When I’m eating dinner, I’m thinking about a potential headline. And when I’m lying in bed, trying to fall asleep, many times my mind will race with promotion strategies. For me, getting burnt out doesn’t happen because I’m working long hours in an office, instead, burn out happens because I’m thinking about work 24 hours a day, 7 days a week. I realized a long time ago that in order to maintain my sanity and work at my peak performance on a daily basis, I would need to find a way to differentiate between being “at work” and “at home”. Here are a few strategies that work for me. At the end of the work day, I do a strenuous workout. While working out, my concentration shifts from work, to the exercise that I’m doing at that time. Eventually, my mind becomes clear. And by the end of the workout, I’m too sore to think about anything other than how tired my muscles are. Yes, this is a bit extreme. But it works wonders for me. If you’re not a fan of having a rigorous workout routine, then perhaps this strategy is more your speed. When you’ve decided that you’re finished working for the day, have a glass of wine. For me, when I have even a sip of alcohol, I know that I won’t be able to work for the remainder of the day. My final strategy is to take a night-time walk to connect with the universe. I know this sounds a bit far fetched and out there. But for me, there is something special about looking up at a clear night sky and gaining perspective. When you realize how small your place is in the universe, you begin to take yourself a lot less seriously. These strategies may not work for you. And that’s OK. But the point is, make sure you find something that you can do every day that signifies that you’re done working and you’re now ready to enjoy your home life. Wake up in the morning and turn on the computer. Grab breakfast and bring it upstairs to my office where I would sit for hours and do work until I got hungry again. Then I’d make a trip to the kitchen for food, and the process would start all over again. My waste line grew. My posture suffered. And my overall health became incredibly poor. Not to mention, I became increasingly unhappy. The truth is, a lack of movement and exercise is the effect of some of the other challenges described on the list. When your nearest colleague works a thousand miles away, you can’t get up from your desk to visit them to collaborate on a project. And when your team is scattered throughout the globe, there isn’t the opportunity to grab a basketball after work and shoot some hoops. And turning off work is an impediment too. There is always one more email to respond to. One more sentence to fix. One more line of code to debug. And before you know it, you’ve been sitting in front of your computer an extra two or three hours. And by the time you’re done, that trip to the gym just isn’t happening. Hopefully, by the time you’ve reached this stage of the article, you’re mindful of the fact that you need to move around and exercise. Not only will it help with your physical health, but it will also help you focus more on your work. Several years ago, I spent some time working in an office. When I would hit the print button, and was prompted to change the toner, I would simply walk over to the supply closet, grab a new toner, and replace it with the old one. In the office, when my laptop died, I submitted a purchase requisition to the IT department. The next day, I had a new one on my desk. Today, if my laptop dies, I have to fork over $1,200 to Best Buy or Amazon or some other retailer in order to replace it. By the way, that’s $1,200 of my own money. When the internet goes down, you’re the one that has to fix it. I can’t tell you how many mornings I’ve spent resetting modems and routers and contacting my Internet Service Provider – which in case you’re wondering is voted to have the worst customer service among companies in the United States. When you’re negotiating your salary with your new employer, make sure that you factor in any potential IT costs that will arise in the coming year. They are quick to add up. 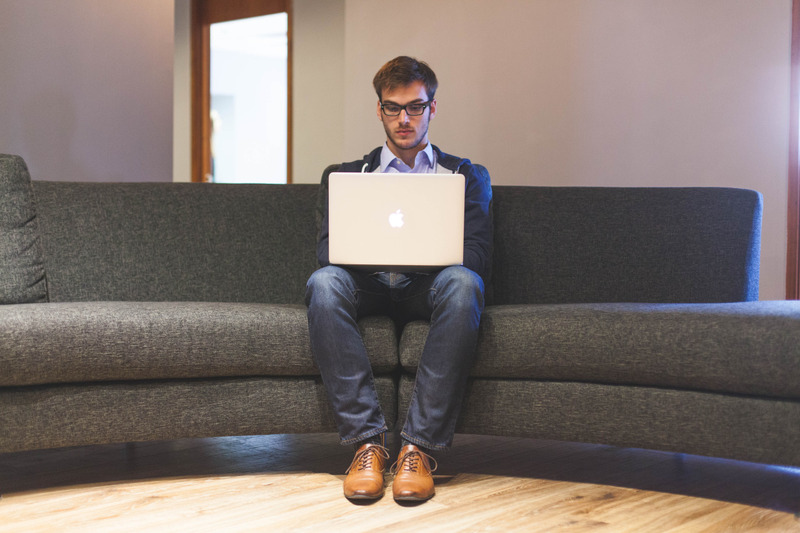 Still Want to be a Remote Employee? I know that you want to take your laptop to the beach, or hang out in the neighborhood coffee shop to get work done. I’m sure you’ve pictured the freedom in your head a thousand times. There’s a certain romance to it. And now to dump a cold glass of water on your head. Because let’s face it. Being a remote employee simply isn’t for everyone. It requires the discipline to avoid and overcome the various distractions that you’ll encounter throughout the day. You need to be motivated enough to get work done, when you’re surrounding environment is telling you to procrastinate. And you need to have the organization skills to manage multiple projects and your day to day life – often within the same room of your house or apartment. Sure, being a remote employee can have a lot of benefits. But in order to reap those benefits, you must overcome these ten challenges. If you’re working remotely, what challenges did you have to overcome? Leave a message in the comments section and let us know. Thanks for the article, I can really identify with all you mentioned! Working remotely poses many challanges, but if you have a perspective to work in any place you choose on the earth is really motivating for me. Here I found some more interesting tips: http://kanbantool.com/blog/working-remotely-is-hard-but-so-worth-it . You nail it! 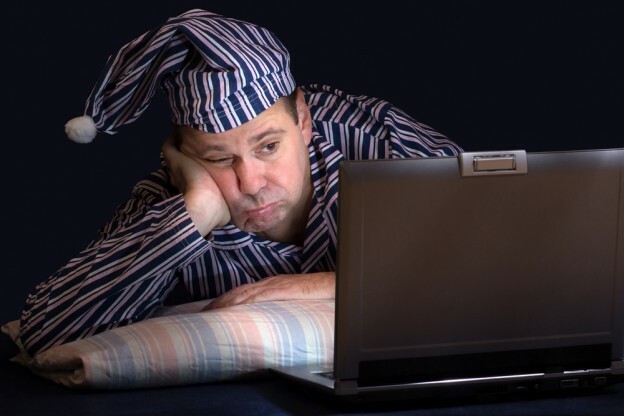 These blog really explain how you will feel working as a remote employee. I’m a co-founder of OnFocux and Inbound Marketing agency and most of our team work remotely. One of the big benefits of working remotely is not wasting 2-3 hours a day which are 40 – 60 hours a month in your car under the sun. However, it requires discipline and tackle those distraction around you. One of my challenges is to have many apps options. For example, you start a Skype call with Diana share some file on Skype chat. Then Diana send you the documents back in Slack and 3 days later you get and email from her with other documents. Not to mention that you have a Basecamp projects!!! – How about this?